One thing is for certain, Travis and I love pepper, and spicy foods. 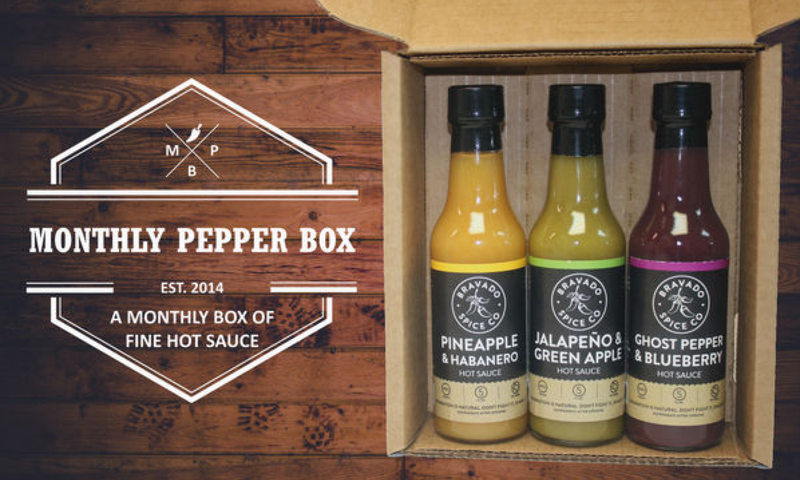 Every box, you'll get 3 bottles of succulent heat ranging from a "Low Burn" to "Call the Fire Department" from hot sauce companies you've never heard of. Get 10% off your membership (Gift & Ongoing) at Monthly Pepper Box. 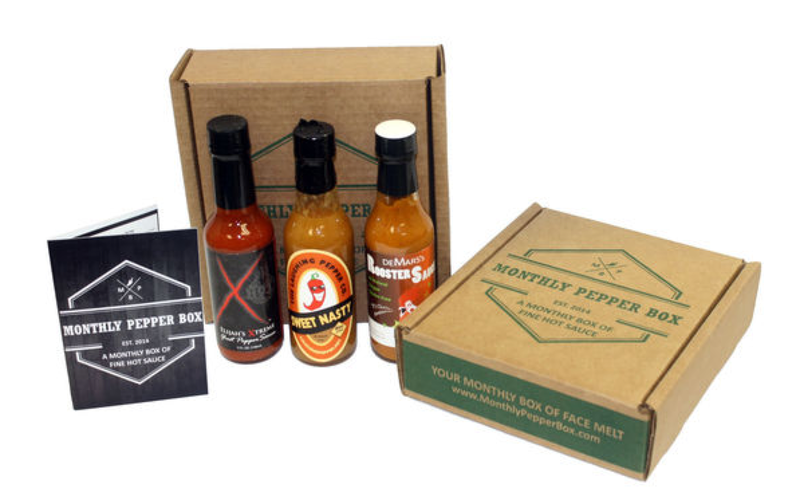 It's the perfect box for the Pepper Head in your life, especially if that Pepper Head is you! I will be writing a follow up review once I get my 3 month subscription. Do you like monthly box gifts? That looks yummy. I keep copious quantities of Tabasco and Texas Pete on hand but variety is the spice of life. I'm not much for spice, but Jason and Allison love it. I bet they'd make good use out of this box! now, he has decided that he just isn't into it that much. This would have been great for him like 2 years ago!